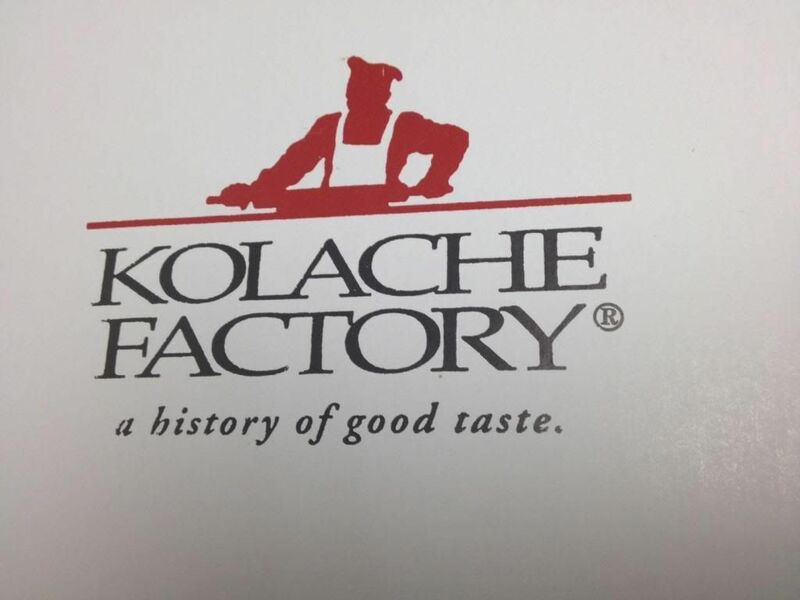 Kolache Factory Bakery and Cafe opened today in Tustin, near the 5 freeway and Newport Ave. The bakery started in Texas and the Tustin location is the first, of what they hope will be many, in California. The bakery specializes in kolaches, which are a Czech pastry. Most of the kolaches resemble a spherical roll, reminiscent of a dinner roll. They are stuffed with a variety of fillings. Varieties include sausage, eggs, BBQ beef, fruit, pepperoni, jalapenos and more. The fruit filled kolaches more resemble a danish with a ring of dough surrounding a fruit filling. I tried one of the apricot kolaches. It reminded me of a Danish, but was less flaky and more bread like. The pillowy, yeasty dough was similar to a cinnamon roll dough, but slightly less sweet. I feel like this is a healthier alternative to Danish, but I'm not sure. Prices range from around $1.09-$2.69. They also serve a variety of other pastries like stuffed croissants and cinnamon rolls. I'm eager to go back and try some other varieties, especially the sausage and gravy.